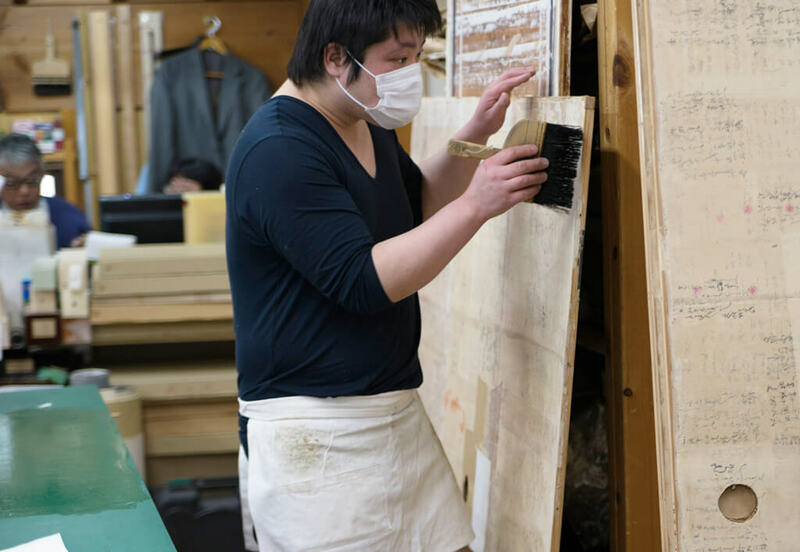 In Kyoto, the craft of mounting has developed due to the high demand provided by the sheer amount of temples and shrines, head families of the tea ceremony schools and imperial court. The high quality textiles used for mounting are also conveniently made in Kyoto Nishijin area. At Seikodo Nakajima, you can watch traditional techniques to reinforce calligraphy and painting by lining with paper or cloth, decorate them properly.